While the Defender may be its most famous model, Land Rover refers to the Discovery as the 'centre of gravity' for the brand. Which is no surprise when you look at how popular it is, especially with those who want a big car that can cope with everything a family can chuck at it. But the current model has soldiered on since 2004, so we've been long overdue a replacement. And here it is. The new posher, sleeker looking and generally far more modern Discovery. 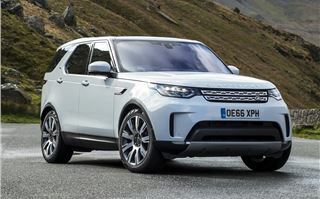 It's a car that echoes the styling of the smaller Discovery Sport, abandoning the squared-off lines of the previous model. That could be quite a risk - the outgoing Discovery 4 may have been on sale for yonks now but it's still in demand. In fact, in its last 12 months of production, it sold more than any previous year. But don't think that Land Rover has gone soft. True, it may not look as tough as before, with its smoother shape, but this Discovery is actually more capable off road than the old one. It has more ground clearance (up from 240mm to 283mm) and an increased wading depth. Plus it's far lighter - around 480kg in fact. That's like knocking off half a Volkswagen Up. That drop in weight makes a big difference off-road and means the new Discovery copes better where the previous model would bog down - think thick mud and trying to negotiate a steep turn. As you'd expect, Land Rover was very keen to show us the off road capability of the new Discovery. Admittedly on its own off-road course. It proved as adept as you'd expect - this is a Land Rover after all and it's full of clever off-road technology to help you cope in different conditions, from sand to rocks to snow, all part of what Land Rover labels the Terrain Response 2 system. 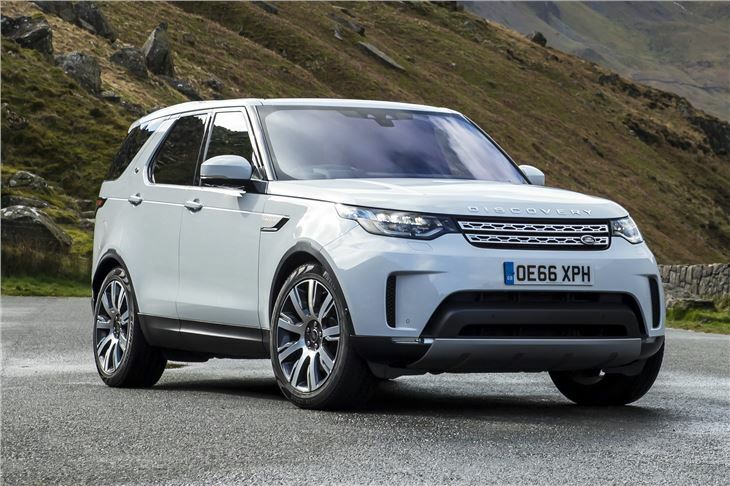 So while the competition has softened (or was never really that good off-road in the first place), the Discovery retains this immense ability to easily cover all different kinds of terrain - and all in relative comfort. Of course, the vast majority of Discovery drivers won't venture anywhere more adventurous than the grass verge at the local Primary School. Or Academy as it's probably called now. So what's it like, you ask, actually driving on the road? Well, a lot like the old one in fact. 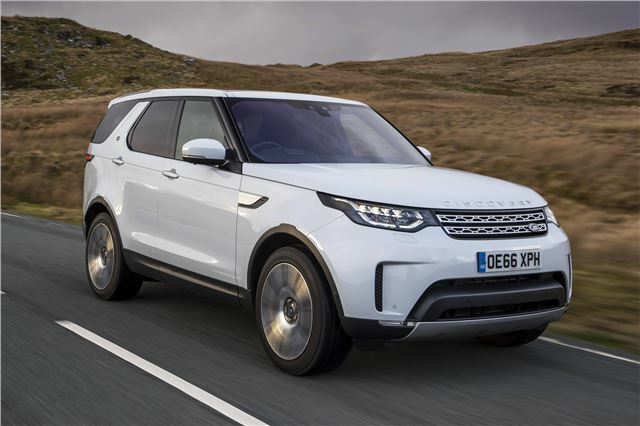 It uses the same aluminium chassis as the Range Rover Sport so there's certainly a reduction in body roll - this Discovery feels considerably less ponderous in corners. But as before, it's not a car you'll want to be throwing through bends. It's here where the competition - cars like the Audi Q7 - are much better. But where the Discovery gains points is for its ride quality. It's comfortable, quiet and superbly insulated from potholes and broken tarmac. The steering is nicely weighted if not particularly direct, although in town it's not quite as easy to park as before with more limited rear visibility. Still, parking sensors are standard on all but the basic S model (which no one buys anyway) while HSE models and above get a rearview camera. The drop in kerbweight does favours not only for the ride - but for fuel economy. The Td6 engine with its eight-speed automatic gearbox has been carried over from before but it uses slightly less fuel with an official 39.2mpg compared to 36.7mpg previously. New for this generation Discovery is the Sd4 model - powered by the Ingenium 2.0-litre diesel used in the Jaguar F-Pace among others. Go for this and claimed economy improves to 43.5mpg. 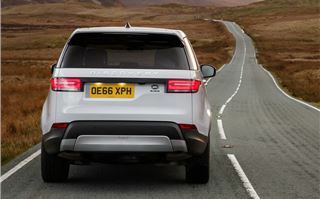 The Sd4 is impressive but the Td6 is still better suited to the Discovery, fitting with its 'premium' feel thanks to the smooth six-cylinder nature and more effortless performance. It's not shy of power with a hefty 600Nm of torque - 100Nm more than the 2.0-litre. The gearbox can be a little hesitant when pulling away from low speeds, but it delivers very quick and smooth shifts on the go. It's inside where the most notable changes between this and the old Discovery are found. The quality is much improved with everything feeling a bit nicer - features like the chunky metal finish on the air vent surrounds and door handles for example. 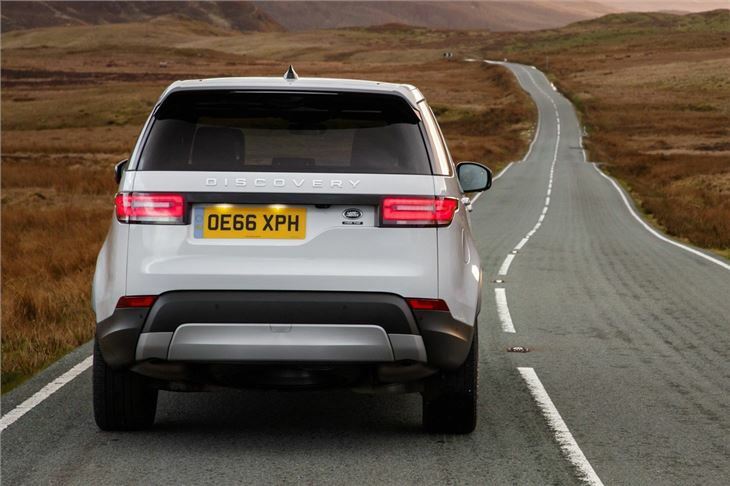 The Discovery has always been an expensive car but now at least it feels like one, although we're sure there are owners who will miss the robust finish and hardwearing feel of the Discovery 4. The middle row of seats aren't quite as supportive as the old model, but the rearmost are better and you can go for the option of heated seats and USB charging points in all three rows if you really want to spoil the kids. The space in the third row is very impressive and while getting into them still isn't that easy (albeit it better than before), even those over six-feet tall will find there's plenty of headroom and adequate legroom. All the seats can now be folded down electrically which is far easier than the clunky handle and pull-strap system on the old car - it's standard on all models. Land Rover has managed to retain the distinct character of the Discovery - especially in the way it drives - but added a premium feel. The interior is much improved and now feels like it belongs in a car at this price. Because it's not cheap. You're looking at a minimum of £50k for an SE. What Land Rover hasn't done is compromised - this Discovery is just as good off-road as ever, in fact it's actually more capable. So while it has a considerable price tag, the Discovery feels worth every penny. Nothing else out there can match its breadth of abilities.